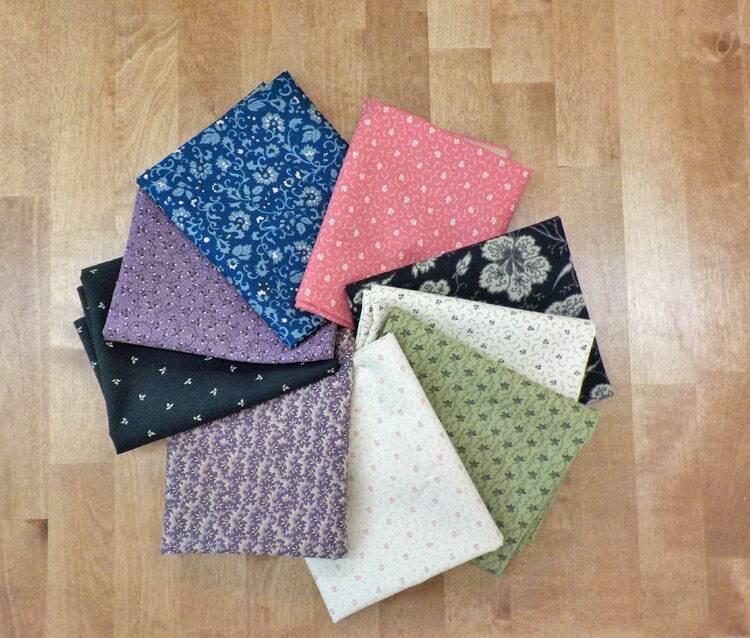 Evelyn's Homestead 1880-1900 by Betsy Chutchian moda fabrics, curated bundle of 9 fat quarters. This line is full of wonderful civil war era prints and absolutely scrumptious colors including: primrose, black, indigo, spring leaf, porcelain, and wild lupine. This group of prints is perfect for anything civil war...a dear jane, farmers wife or lucy boston. this is a curated collection of Evelyn's Homestead. bundles are exclusive and limited.